I went to the T20 at the Oval the other night. It wasn’t what I expected at all. The whole atmosphere was very good natured. A squirrel ran onto the pitch and I’m sure that he got a much bigger cheer than the players. The other somewhat surprising thing was the beer snake, which you can see in the photo above. I’ve never seen that before. 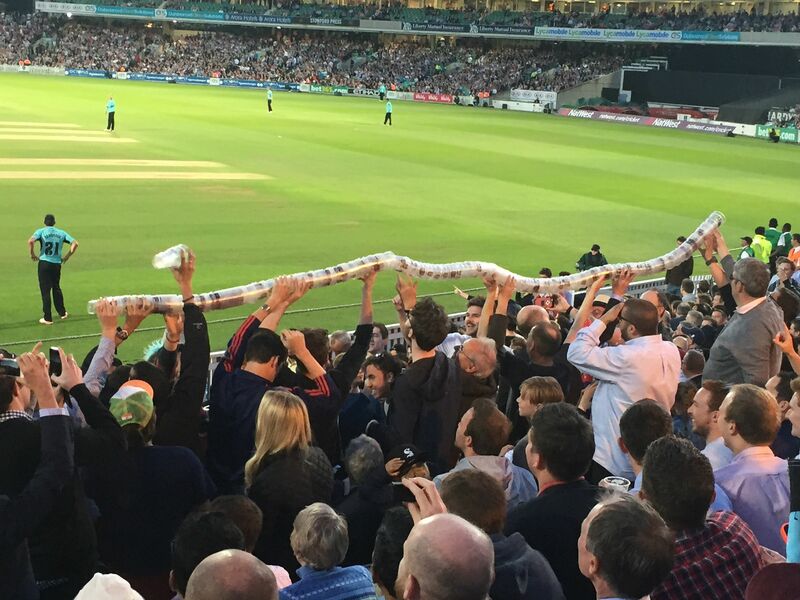 The beer snake also got some pretty big cheers.